Two-time Wimbledon champion Andy Murray ruled out of the Brisbane International by losing in straight sets 7-5, 6-2 to Russia's Daniil Medvedev. Whereas, France's Jo-Wilfried Tsonga defeated Taro Daniel of Japan 7-6 (7-5), 6-3 in the second round of the tournament Thursday. Two-time Wimbledon champion Andy Murray ruled out of the Brisbane International by losing in straight sets 7-5, 6-2 to Russia’s Daniil Medvedev. Earlier last year, he underwent hip surgery and missed three of the four Grand Slam events in 2018. He couldn’t deal with Medvedev’s power in Wednesday’s second round match and was knocked out of the event in 81 minutes. Whereas, France’s Jo-Wilfried Tsonga defeated Taro Daniel of Japan 7-6 (7-5), 6-3 in the second round of the tournament Thursday. It took the 33-year-old Frenchman an hour and 40 minutes to qualify for the tournament’s quarter-finals and keep his hopes of a first Brisbane title alive. “It is an honour to play in front of this crowd. I am very happy to win a second match here and I hope it is going to continue,” Tsonga said, according to the tournament’s official website. The former world No. 5 will take on Australia’s Alex de Minaur in the next round, who emerged victorious 6-4, 6-2 over his compatriot Jordan Thompson on Wednesday. “I am going to give my best as always. 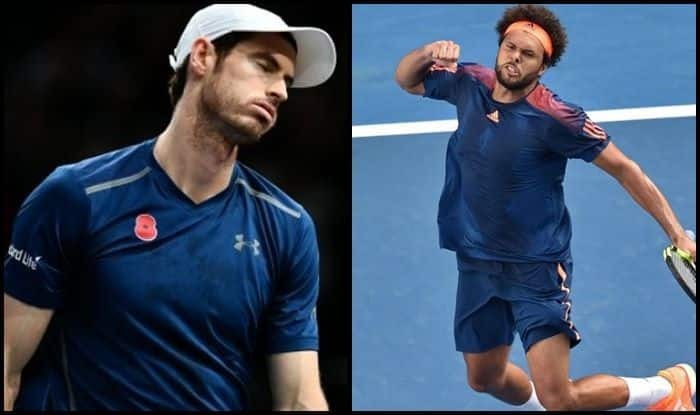 There is a new generation coming, it is normal,” Tsonga said ahead of facing 19-year-old de Minaur. “He is a very good player. I like the mentality he has got. He is a fighter. He is into every point. I will just try and do my job and play my game. It is going to be nice for the crowd to see how it goes,” he concluded.